Welcome to the Stadium Runners Newsletter. 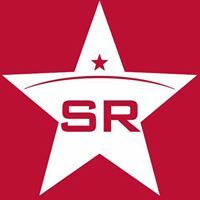 We hope to keep you informed about what has happened and what will be happening in the wonderful world of Stadium Runners. We have made some changes behind the scenes, so hopefully this time it won't end up in your spam bin! Please contact me if it is still being marked as spam for you. Stadium Runners turned out in force for the Stairway to Heaven for the second year in a row. Unlike last year (when it bucketed it down), it was a beautiful, crisp morning with lovely blue skies. The results show a stunning performance by Stadium Runners across the board. The first 5 finishers were all Stadium Runners. 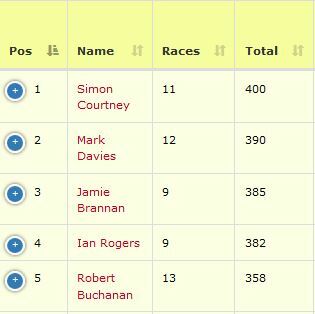 Stadium Runners also won the mixed team prize, John Cottam won the M60 and Russell Dyson won the M70. Full Stairway results can be found here. 8.5 miles just wasn't enough for three Stadium Runners, and they felt compelled to enter the Holme Valley Trail Half Marathon! Top work by John Eastwood (9th, 1:57:33), Helen Ahmad and Fiona Willis who completed the two lap course. Full Trail Half results can be found here. A massive well done to all Stadium Runners who took part in either race. The next race on our club calendar is actually two races, if that makes any sense. 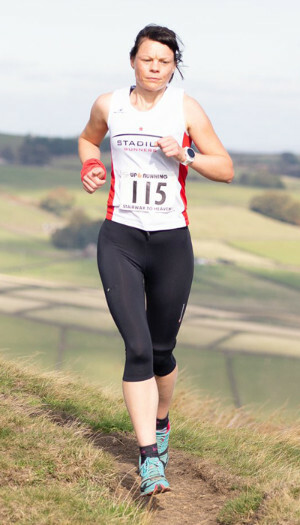 Holmfirth Harriers are running concurrently both a 10K race (1 lap) and a 15 mile race (2 slightly longer laps). Lots of opportunity for a tactical choice of which race for the best chance at those precious championship & WAVA points. Personally, I'd go long :) Or would I? 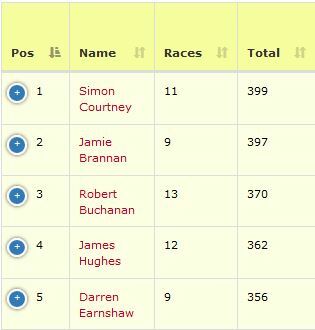 The other thing to note about the 15 Mile race is that is the Yorkshire Vets 15 Mile Championship race. More mature Stadium Runners may wish to go for a longer run. Online entry closes on 14th Oct, entry on the day available if race limit not reached. Enter both races at RunBritain here. 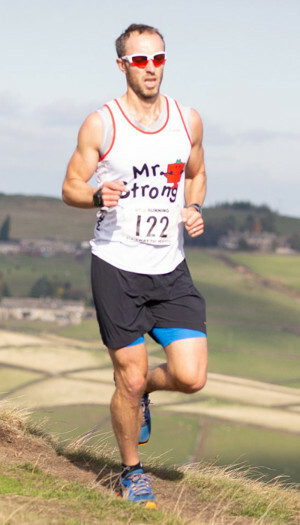 Littleborough 10K. 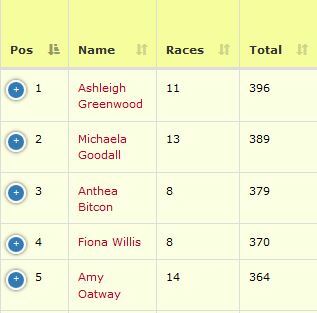 Joe Baker finished 13th in 37:49, 10K PB, Ashleigh Greenwood finished in 42:30, 5th lady. Chester Marathon. PB-fest for Stadium Runners! Leo Timmins 2:49 PB and 82nd place, Jamie Brannan 2:59 PB, Steve Carson 2:59, PB, Joe Baker 3:00 PB, Matt Pattison 3:14 PB, Steve Taylor 3:19 50th Marathon, Ashleigh Greenwood 3:23 PB, Anthea Bitcon 3:40 PB, Kimberley Yeaman 4:42 1st Marathon, Barbara Johnston-Read 5:17 PB. Russell Dyson 5:18, 1st Marathon. Wow! Chester Metric Marathon 26.2K. Caroline Jones 2:34, Jess Earnshaw 2:56. It is now getting to the sharp end of the season, and there is still some jostling for places to be done in both the Grand Prix & WAVA competitions. 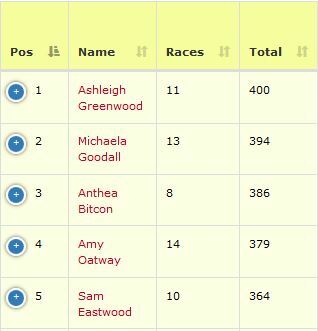 14 races have already been & gone, and only the Holmfirth 10K & Half, Abbey Dash and parkrun remain. Here's what the top of the tables look like right now. Full results are available to view on the website here. Don't forget to submit your best Huddersfield parkrun time of the year to Matt Smith before the deadline of Sun 11th Nov 2018. Full rules & regs about submitting your parkrun time can be found on the website here. 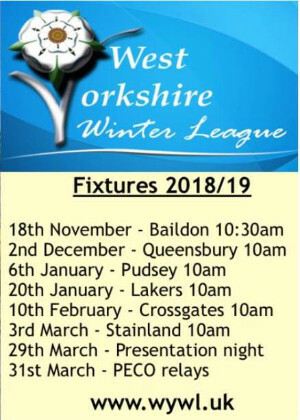 A booking sheet for the November session is on the notice board at the club now, sign up on there, or email us to book a place. Important Information on Monday night training between now and Christmas. No Pain No Gain sessions are back! Sessions will alternate between Track and Road Hill Repeats. Both sessions will run alongside the usual Bronze, Silver and Gold Group Runs. NPNG will meet as usual at the Stadium. Runners will then jog down to Leeds Road for Track with Simon or to some local hills with Saul. There is no need to sign up in advance for NPNG sessions, just sign in on the pink sheet before the run briefing. There are 2 UKA Coaching sessions (clubrun) left for members and run leaders. Sessions will take place on the first Monday of the month between now and Christmas. To sign up to the sessions, add your name to the list on the noticeboard. ALL Groups (UKA Coaching, Bronze, Silver and Gold) will meet at Leeds Road on these nights - 5 Nov & 3 Dec.
GoodGym has arrived in Huddersfield! For those who are not aware GoodGym are a national community of runners who choose to get fit by doing good. GoodGym runners meet up on a weekly basis, then run in a group to a location where they volunteer to perform practical tasks. These tasks assist community groups, charities, public spaces and other local organisations. Tasks can be anything involving physical activity that a group of GoodGym volunteers can work on for a period of 30-45 minutes. 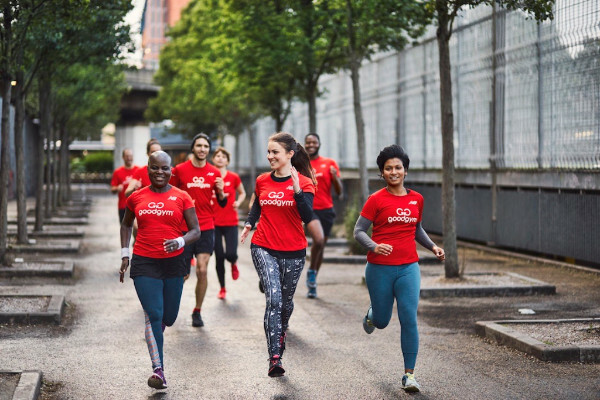 There are many, many things GoodGym runners can do, including…..
GoodGym runs are designed to be fun, social and suitable for a wide range of runners, no one ever gets left behind. There is no regular commitment required, you can simply turn up and get involved as you wish. Just in case you are wondering, running with GoodGym is entirely free too. GoodGym runners are true volunteers, motivated to do something that benefits the local community at the same time as getting fit themselves. If GoodGym sounds good to you just come along to the Stadium on a Tuesday evening. If you have questions about any aspect of GoodGym you can also call Saul on 07840892151, email saul@gooodgym.org or speak to him on a Stadium Runners club night. This season, the WYWL will be using an online entry system where every runner will have the opportunity to purchase a season pass. This has proved really popular, and the initial 500 passes sold out in a couple of days. A further 250 passes were released, and these have now sold out too. The WYWL are aware that some regulars have missed the cut-off for the season pass. If you still want to take part contact our club representatives - Ashleigh Greenwood. Once they have agreement from the WYWL club reps on how to proceed, they will let you know. If you have successfully got your season pass, please make sure that you put the above race dates in your diary. Looking forward to the 18th Nov! 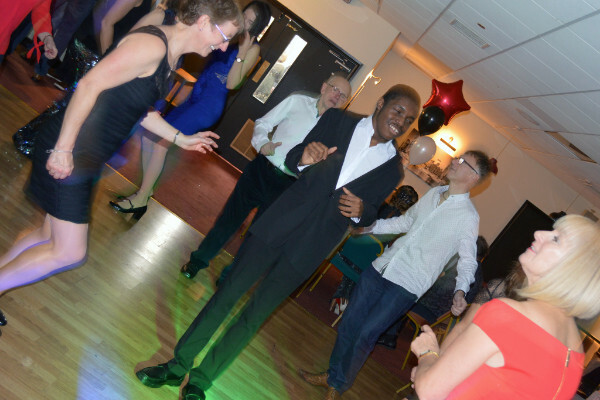 To bring our race calendar in line with the UKA membership year (April - March) and to give us something to look forward to in the depths of winter, our Awards Night will take place on Saturday 16th February 2019. That's all for now. If you have anything that you want including in a future newsletter, or you have any questions on anything in this edition, then please contact me.